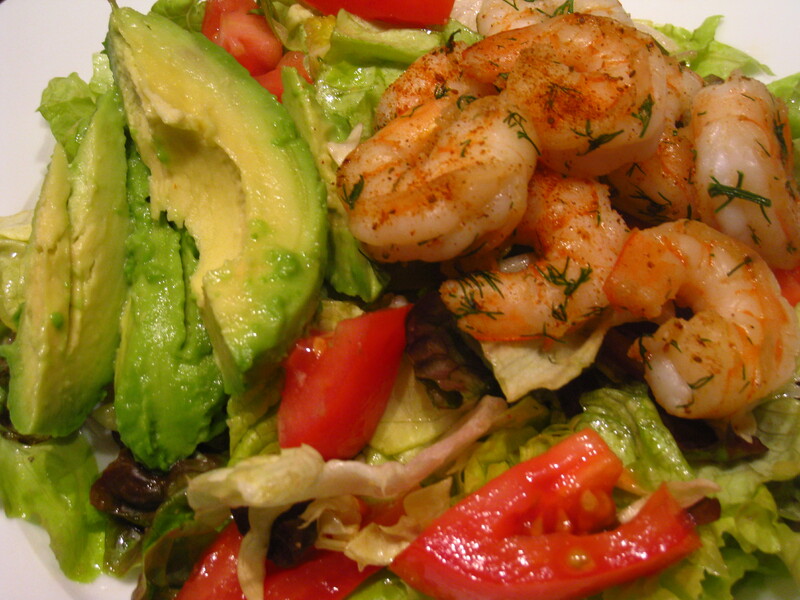 Avocado & Shrimp Salad With Lemon Vinaigrette. After indulging on Thanksgiving, I’m back on the band wagon and getting back into the healthy groove! Last night, I wanted to fill my tummy with something light and healthy, so I decided to make this refreshing salad. It was simply delicious! 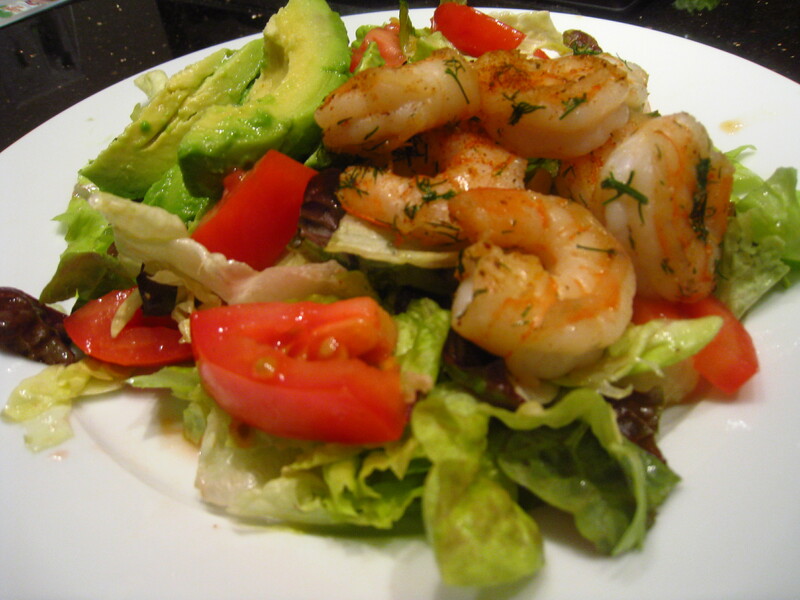 Thaw your shrimp by placing in a colander in the sink and running cold water over it for about 10 minutes. After the shrimp is thawed, remove the tails. Heat 1 tbsp olive oil in a pan on medium heat and then add the crushed garlic and shrimp. Sautee the shrimp for 3-5 minutes and add the chopped dill and Old Bay seasoning. 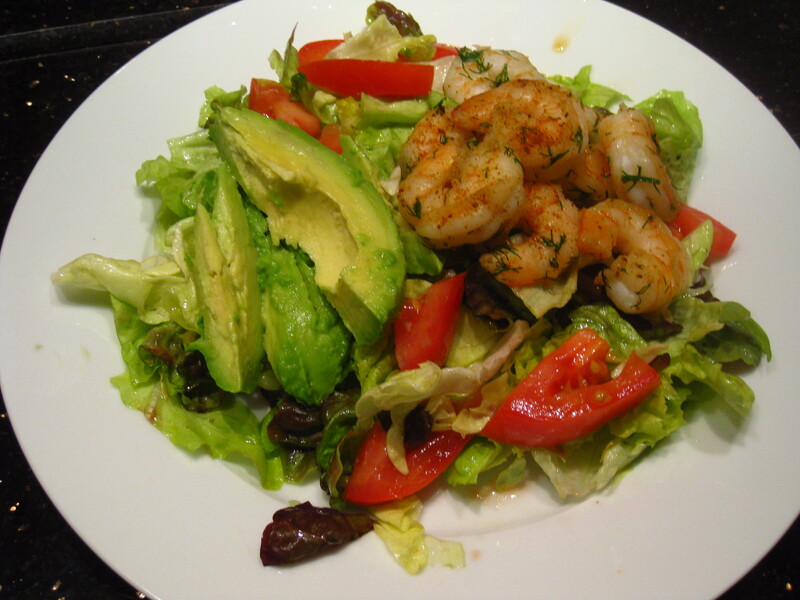 In a large bowl, mix the lettuce and tomatoes and add 2 tbsp olive oil and the juice from 1 lemon. Add a dash of garlic salt and black pepper and mix all of the ingredients together. 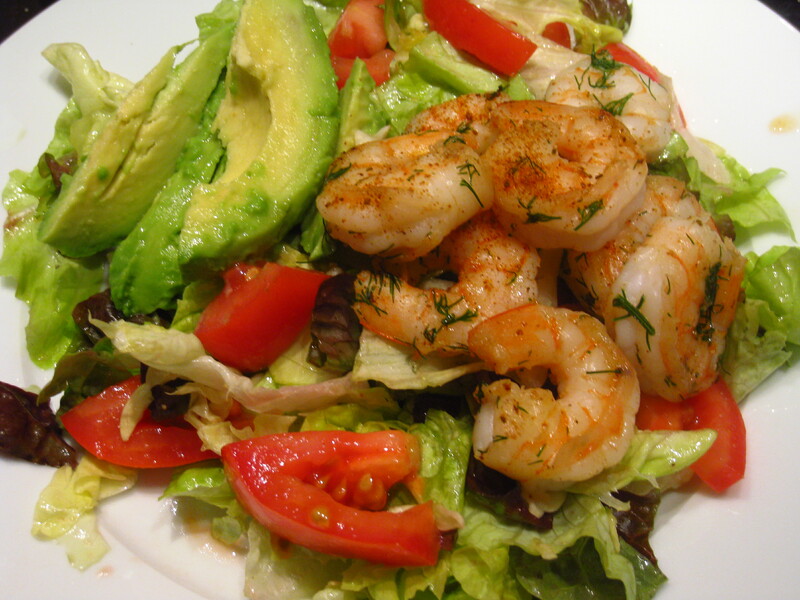 Plate the salad and then top with the shrimp and avocado. ← A Taste of Cleveland.